I got these pincushions finished up last night and photographed and listed in my shop this morning. 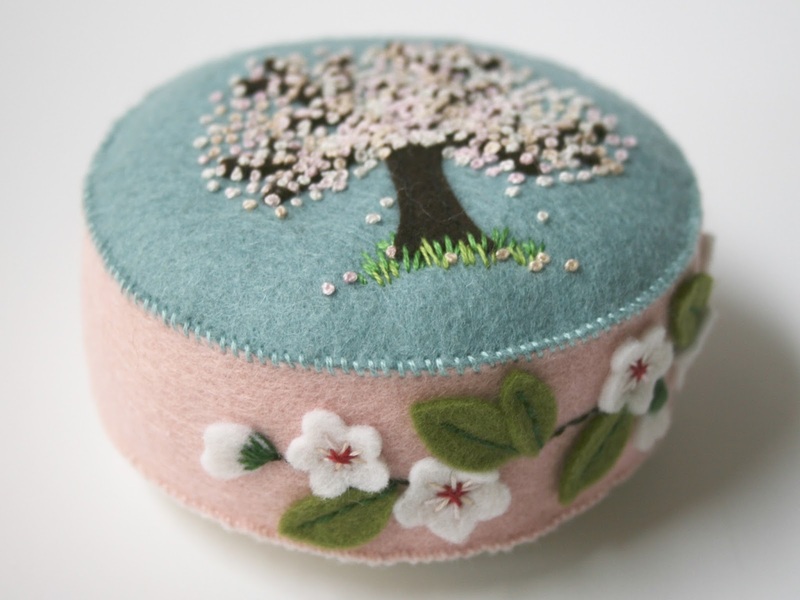 I'm very happy with this design, I love the pale blossom with the subtle variegated embroidery floss. 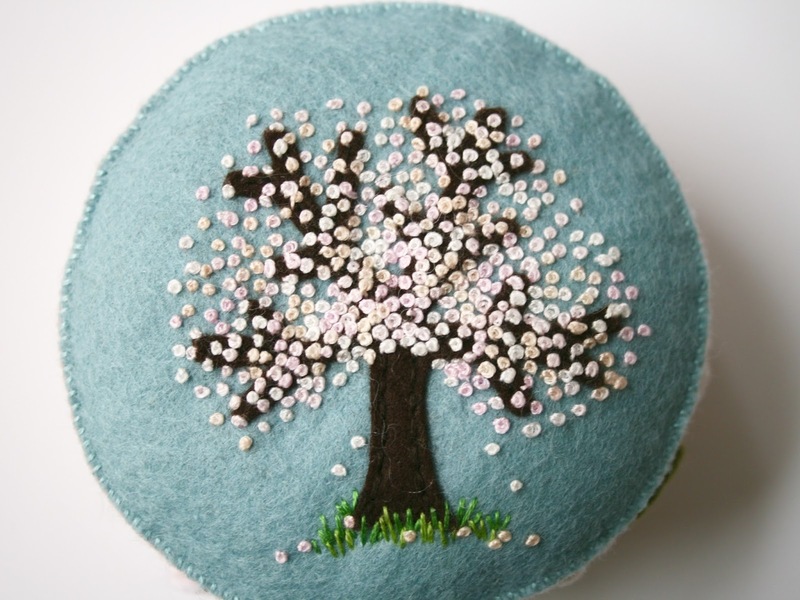 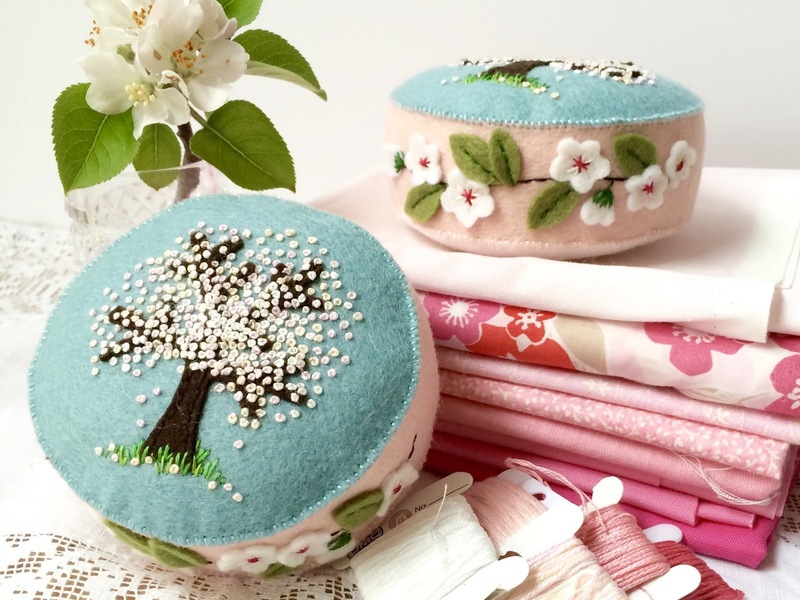 You can find these pincushions in my Etsy Shop. 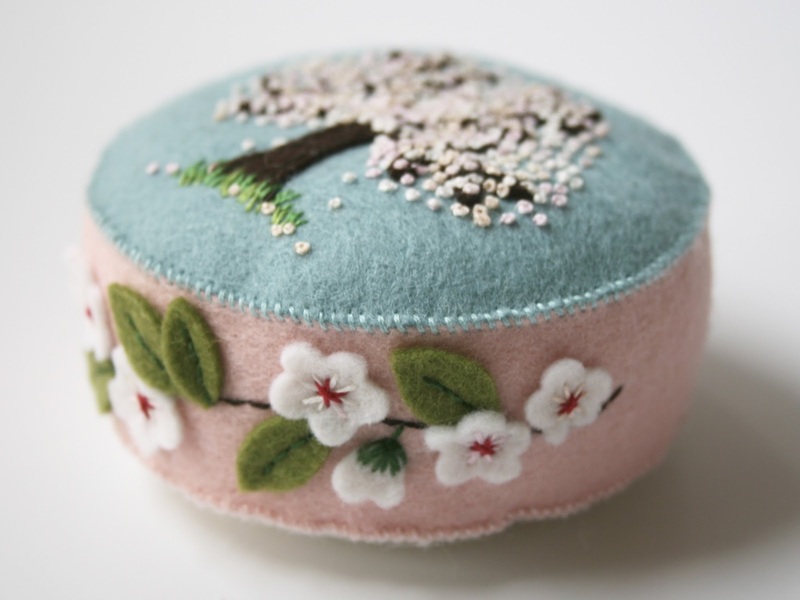 I'm going to be working to restock pincushions that I am sold out of over the next couple of weeks. 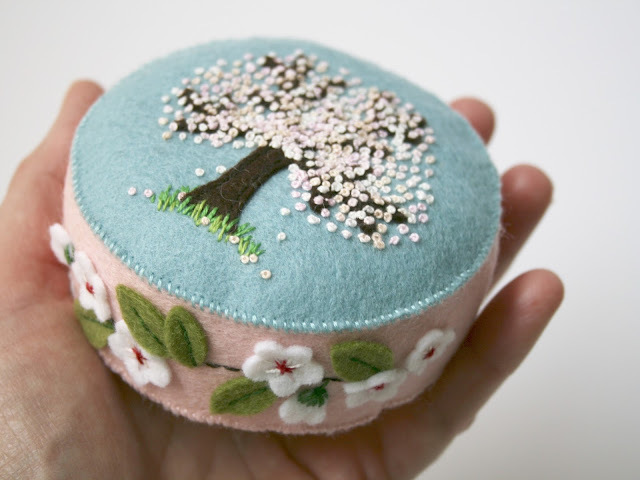 I have a bunch of new designs rattling around in my head but I'd like to fill up my shop a bit first. New designs take longer to produce than existing designs.